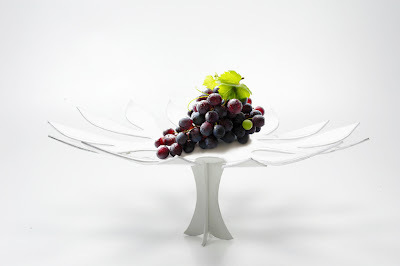 This fruit bowl is inspired by the sea fruits. I wanted to translate organic forms in repeated nice shapes. It's made with bio plastics. The white bowl is double layered with a transparent plastic sheet. That gives it more dimension.